Luxor is a city in Upper Egypt that is best known as the Ancient Egyptian city of Waset, also known as Thebes by the Ancient Greeks. The location is often called the largest open-air museum and contains some stunning temples and historic locations from the times of the pharaohs. There are also many Luxor tours to see the highlights of this ancient city – here are a few of my favourites to help you choose what to see and do. Day trips from Luxor will usually incorporate the most famous locations in the region, spread across the two banks of the River Nile. Close by is the Valley of the Kings and Valley of the Queens with their many tombs while the Temple of Karnak and of Queen Hatshepsut are instantly recognisable, even if you are only casually interested in Ancient Egypt! 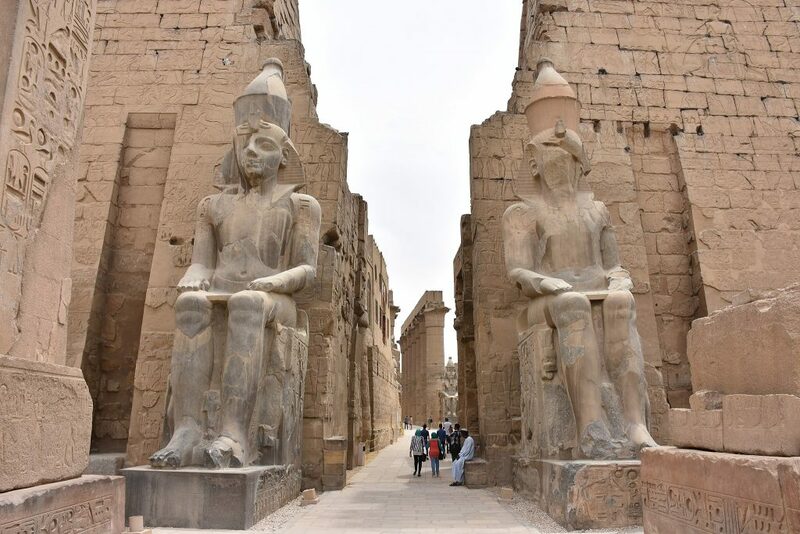 A day trip to Luxor is the perfect way to see the highlights of this amazing site and this tour includes the Temple of Karnak, the Colossi of Memnon and also a visit to the Valley of the Kings. You can see the temple of Queen Hatshepsut and get a first hand view of some of the most iconic sights from Ancient Egypt still visible today. The tour also includes a meal in one of the top quality local restaurants and transport to and from your hotel. It is one thing to see the sights of Luxor from the ground, but you get a completely different view from the air – and a hot air balloon is a perfect way to enjoy that aerial view! This tour includes a one hour flying tour over Luxor to see the sights as well as the monuments of Thebes. The tour starts early so you also get the amazing spectacle of the sun rising over the East Bank and illuminating the city. Luxor is often called the largest open-air museum and sits across the east and west banks of the Nile. If you want to see the best sights, the iconic monuments and historic locations on both banks, then this full day tour is perfect. It includes both banks with an Egyptologist as a guide and incorporates three of the pristine tombs of the Valley of the Kings. It also includes Luxor Temple, the Temple of Karnak and of Queen Hatshepsut, famous as the only female pharaoh. Tour includes all entrance fees and transfers plus there is an option for a meal in a local restaurant for an extra fee. If you are staying in Cairo but still want to see the wonders of Luxor, then one of the quickest ways to do it by plane. This tour includes a return plane transfer from Cairo as well as air-conditioned transport to the site. Visit both the East and West Banks of Luxor to see locations such as the Temple of Queen Hatshepsut, the Luxor Temple and the granite statues of Ramses the Great. You will also see the Avenue of the Sphinxes, the temple of Amon and the Necropolis of Thebes. Sometimes it is great to see these famous ancient monuments in a new light or new ways and that’s where special shows come in. This show includes an audio history of ancient Egypt telling the stories of the pharaohs who made the most impact on Luxor. Learn about Ramses II and why parts of the temple are always illuminated. See the Holy See where the story of Egypt continues. See the Temple of Karnak in a new light with this two hour long tour that includes transfers. Hurghada is a Red Sea resort that is one of the most popular places to stay in Egypt. It is also well located to make the most of tours of Luxor which can be done in a single day with returns to the resort. Luxor is a site spread across both banks of the Nile and this trip from Hurghada is a great way to see the best of it. You travel with an experienced Egyptologists who can help you best understand the amazing sights that you see. This Luxor tour includes the Temple of Queen Hatshepsut, the Colossi of Memnon and also a tour around the Valley of the Kings, final resting place for many of the pharaohs. There is a meal in a local restaurant before moving to the east bank where you can see the Temple of Karnak and Luxor Temple, the largest Ancient Egyptian temple remaining. The tour then returns you to your accommodation in Hurghada. Hurghada is ideal for a trip to Luxor and this tour includes all of the main locations around Luxor in a single day long trip. Travel in air-conditioned vehicles to Luxor with its views of the villages along the Nile then see the Colossi of Memnon, built by Amenhotep III over 3400 years ago. Next visit the Valley of the Kings with its famous tombs, paintings and hieroglyphs. Then the tour visits the Temple of Queen Hatshepsut. After lunch, see the Temple of Karnak with its 100 pillars hypostyle hall and holy lake. Then there is a return to Hurghada included. This day trip from Hurghada lets you see the most important parts of the Luxor site – the Temple of Queen Hatshepsut, the Temple of Karnak with its sacred lake and the Colossi of Memnon. 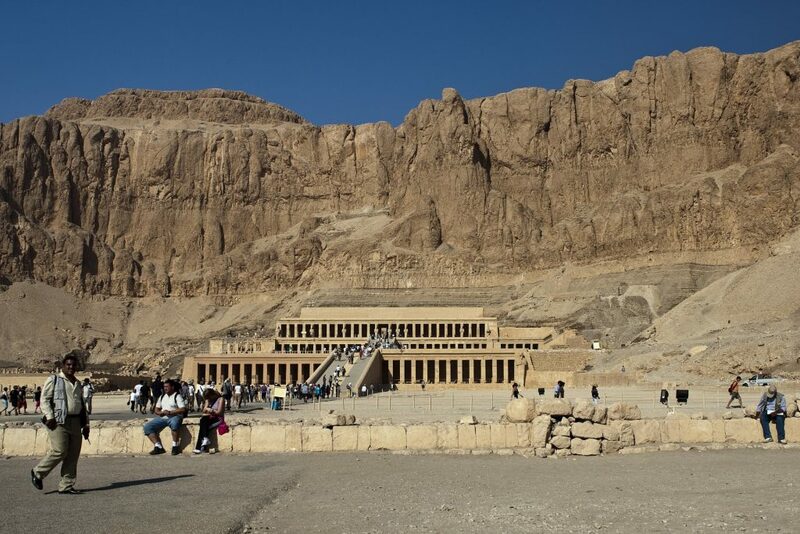 It includes a tour around the Valley of the Kings, resting place of many of the pharaohs and their families. Finish the tour with a meal at one of the top Luxor restaurants before returning to Hurghada. If you enjoyed reading about the best Luxor tours might also be interested in reading about the best Egypt tours and Cairo tours.